The last week has seen retailers such as Amazon, John Lewis, Asda and Tesco all sell out of the Purple/Pink Furby. 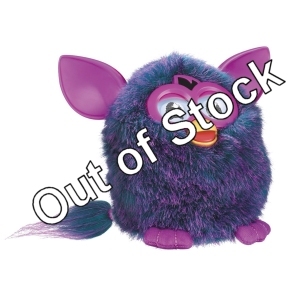 We have also seen a significant increase in traffic on the Stock Informer website directed towards the Purple/Pink Furby indicating this is definitely the most popular colour. Stock of the White and Blue Furbies is also currently scarce whilst supply of the red, yellow and black colours are holding up well. Tipped by many stores as one of the must-have toys for Christmas 2012, demand for Furby has increased significantly recently with Christmas fast approaching and with it also featuring in a number of prime time TV adverts in the UK. The Stock Informer website tracks all the retailers listed in real-time ensuring you will be the first to know when stock is found. An audible alert is available for users who are able to leave the webpage open throughout the day together with email notifications for registered users. It was rumoured that four extra colours maybe released in the UK prior to Christmas however nothing definite has yet been officially announced by Hasbro. 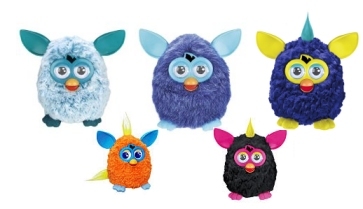 However in the U.S. we have seen navy blue and aqua colours together with various Furbies with spiked hair!